I’ll be the first to admit that I didn’t get a whole lot of sleep on Saturday night. 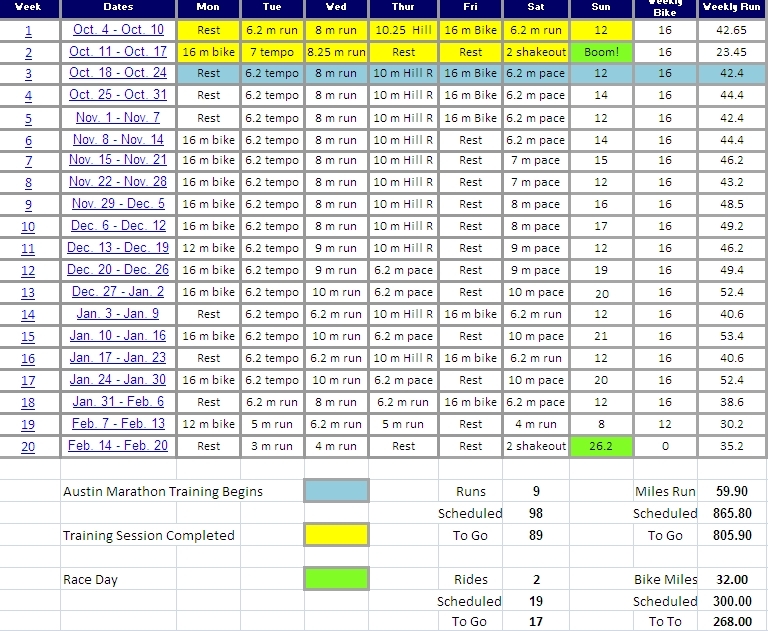 This particular race had been circled on my calendar ever since I signed up for this year’s Austin Distance Challenge. The course features a lot of monster hills, 845 feet of climbing over the 13.1 mile distance. Coupled with a very “open” route over rural terrain around Decker Lake, the winds blow hard with very little to get in their way. It’s a tough race. One that would require a lot of strength, power and stamina to hold pace over the rolling course, but also a lot of mental toughness as well. To race well at Decker, I knew I would have to trust that my training was sufficient enough to allow me to expend energy on the climbs, knowing I would be able to recover and climb again the next time the course required it. Locking in to a race goal was very challenging at Decker as holding a consistent pace mile after mile is simply not very realistic. North winds blowing 12-15 mph in the face of runners over miles 2-5, 10-13.1 sap energy and slow leg turnover. Large hills at miles 4,6,8,10,11 and 13 also contribute to an uneven cadence. I decided that I would try to settle into a “comfortably hard” pace over the first half of the course, push harder up through “Quadzilla” at mile 10 and then try to push even harder over the final 5K. Far from an exact “pace goal” which I try to arrive at for each mile of a race. I was going to run by feel and try not to leave anything on the course. I woke up 3 hours before the 8:00 a.m. gun time to eat a bagel and banana, drink a Gatorade and decide once and for all what gear I would be racing in. The weather forecast was calling for 41 degrees at the start, heading up to 45 by 9:00 a.m. when I would hopefully be 9+miles into the race. Normally shorts weather, I was concerned about the wind chill effect around Decker Lake and opted for my running tights, an Under Armour long-sleeved shirt, Moeben arm sleeves, my medium weight gloves and a headband to keep my ears warm. The “new addition” to my arsenal were my new Brooks ST4 Racers. An early Christmas present from my Mother and Father-In Law, I was anxious to try them out over the half-marathon distance. About 4 ounces lighter than my Asics Traners, that could mean as much as :04 seconds/mile in added speed. That may not sound like a lot, but :04 seconds/mile over 13 miles, and we’re closing in on a full minute of race time. When it comes to Decker, I was looking for every advantage I could find. I left the house at 6:00 a.m. and drove out to the Travis County Expo Center. Open to the runners, it was great to head inside, grab a spot on the floor to stretch and take advantage of the indoor restrooms and bag drop. I ran into my friend Tom and his Daughter who would be volunteering at the mile 8 Water Stop. It was great to visit with Tom who is running the Austin Marathon in February. We would see him again on the course. After a half hour of stretching and relaxing it was time to head outside and get used to the weather. I ran a quick warm-up of 1/2 a mile, went back inside to warm up one more time and then headed over to the race start at 7:53 a.m.
After a tremendous live rendition of the Star Spangled Banner, I tucked in my ear buds, kicked off my iPod and got ready to rock. I glanced down at the initials on my shoes, gave a quick glance skyward to let Dom know I was going to be needing him a little later on and tucked in behind a couple of taller runners. The opening stretch of the race took runners out of the Exposition Center grounds and out onto Decker Lake Road. I was trying to find my rhythm, but began struggling immediately. I felt like I could run either 6:15 pace or 6:45 pace, but couldn’t lock on to anything in between. It took me the better part of a mile to settle in and at the first mile marker I had posted an opening mile at 6:24 pace. A bit too fast as I was hoping to open with a stretch of miles around 6:35, but I was glad to have finally found my groove. Miles 2-4 head straight up Decker Lane until the turnoff at Lindell Lane. The wind was absolutely howling over this stretch. I found a runner that was running a similar pace to mine and asked if he’d like to “work together”. We took turns drafting off of each other over the next three miles. Each 1/2 mile one of us would leapfrog the other and break the wind allowing the other runner to “rest” just a bit. I could really feel the difference when it was my turn to lead. the wind was blowing hard. Mile splits came in at: 6:24, 6:46, 6:38, 6:39. As we turned right onto Lindell Lane it was time to start to pick things up a bit. I dropped my “drafting partner” and pushed forward just a hair. I knew there was some pretty tough climbing coming up soon and didn’t want to go too hard too early. I was feeling smoother and my legs seemed to have a lot of snap to them after resting on Thursday and Friday. At the half-way point volunteers had placed a clock at the timing mat. I ran the first half in 43:05 (6:35 pace), right about where my stretch goal of breaking 1:27:00 needed me to be. There was a LONG way to go at this point with the largest climbs remaining, but it looked like a new PR and a sub 1:30:00 Half-marathon was well within my grasp. As we made the turn off of Lindell Lane we faced the climb up to the top of the 130 frontage road hill. It was long and seemed to stretch on forever. I pulled alongside a runner who was falling back and tapped him on the hip as I was pulling even. I nodded to him and said, “let’s go” and he fell in right alongside of me. It was great having a fellow runner to match strides with and we paced each other right up to the top. As we made the turn onto FM 973 – I pulled into the mile 8 water stop for a quick hit of Gatorade. I saw Tom there and tossed my gloves to him asking if he would take care of them for me. The air temperature was rising as was my internal body temperature. Another 5 miles with my gloves felt like it would be just a bit too warm. After I dropped my gloves I immediately felt my body temperature cool as my hands were out in the brisk winter air. Good call I thought, I was starting to feel the course take a little bite out of me. But we were still running strong. I stayed right alongside my new running friend over mile 9 and 10. We got our first look at “Quadzilla” from the ridge at mile 9. The climb that lay ahead over mile 10 was by far the steepest on the course. We had also turned gently into a cross wind. It wasn’t directly in our face, as that would occur when we made the final right turn onto Decker Lake Road at the top of the hill. But the wind certainly wasn’t helping either. Things were getting tough for sure, but I noticed that the runners around me were starting to struggle just a bit. Form was falling off, legs were grinding slower. At the top of mile 10 I made the turn and gave a little wave to my partner. He made it to the top and it was time for each of us to decide how we wanted to run the final 5K. With a quick nod we parted ways and I started pushing. Miles 11 and 12 were right into the teeth of the wind. I was working harder and harder, but the combination of the uphill stretch and the stiff wind had me slowing. I could feel my pace slipping, but I was not losing any spots to any other runners. In fact there was a runner up ahead that I had been following for close to 11 miles, hanging about :30 seconds behind. A little voice inside my head whispered, “go get him”. I closed the gap over the next 2/10 of a mile and when we hit the mile 12 sign we were running stride for stride. The last mile featured what else but a final climb up Decker lane and then back uphill through the Exposition Center parking lot. I kept searching for another gear, but the conditions were not showing me any “dividends” from my extra effort. I decided that I would wait until the final 1/4 mile to go into whatever kick I would have left. It should allow me to hold onto my track position and have a shot at a sub 1:27:00. I looked down at my GPS and saw that I was still in the 1:25’s at this point. I had a real shot at this I thought. 1/4 mile to go. You can do anything for 1/4 mile. I hit the final turn and headed for the finishers chute. I did not know it, but Dawn and Landry had made it to the race in time to see me finish. Dawn was able to snap the picture below as I made the final push to the finish. As I hit the finish line I looked at the race clock overhead. 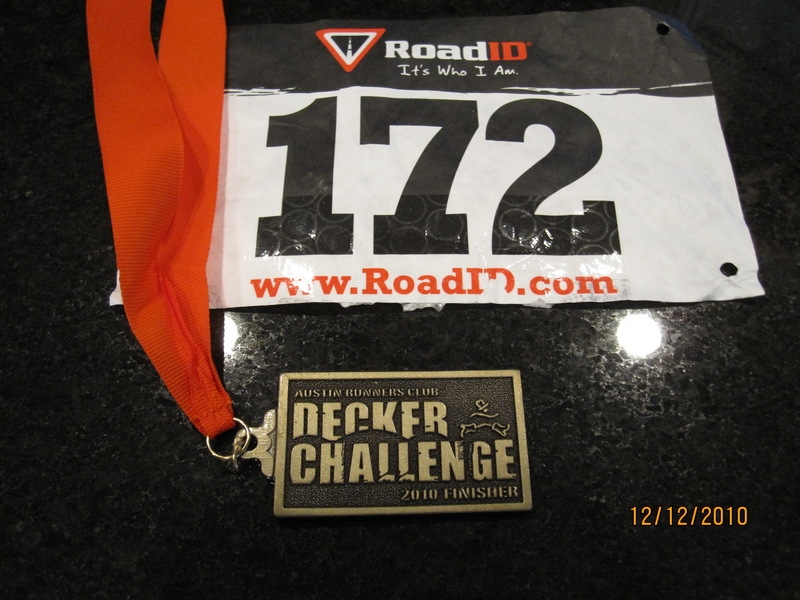 In my second ever half-marathon I had set a new PR by more than 5 minutes at the Decker Challenge. My time was good for 26th place overall, 4th place in my age group, finishing just :01 second away from an Age Group Award. Did I have another second in me? Sure. Any corner that I took a little tighter, a quicker start, if I started my kick two strides earlier all would have made the difference. At the end of the day, it really doesn’t matter. I ran a great, great race. Not a negative split, but I improved from the 32nd best time over the first half of the race to the 24th fastest time over the second half. We were getting it done out there and it felt great to run a “best ever” time for Dom. Three races, three PR’s since the Austin Distance Challenge began. With two races to go I feel like I am living up to the promise I made in that finisher’s area at the Pittsburgh Marathon. Next time Dom, if you could, having the wind at my back at the end of the race would be my preference. You know, if you’re not too busy up there. I miss you my brother, you would have loved it out there today. Great race Joe! You are absolutely going to demolish the Austin Marathon. Great to hear that Dawn and Coach Landry made it to the race too. Inspirational, as alwys. Hi Sean! Was about as fun as the conditions would allow out there today. The race had a little bit of everything, but honestly, never did I really think I was going to put up a sub 1:27:00 at Decker. Having Dawn and Landry there at the finish was the coolest thing that happened to me all day. I know that you know exactly what I’m talking about. Looking very much forward to Ragnar! We are going to have some stories to tell for sure. Best to you guys in OH – stay warm! Dom would be proud. You ran a smart, planned race–sounds like the wind was brutal, and you handled it well. Nice that you were able to work with other runners to draft a bit. You should try running in Atlanta–some of my regular 6-8 mile routes have 700-800 feet of elevation in them!! But I’m convinced that nothing makes you a strong, gutsier runner than hills. Congrats again on a great race and amazing PR! Hi Laura – thanks so much for the visit and the message! I couldn’t agree more about hill work toughening you up as a distance runner. 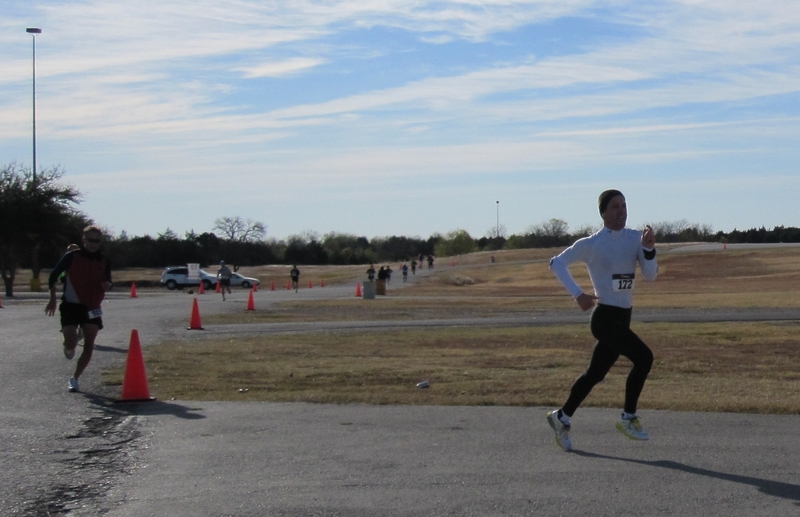 I honestly can’t remember the last time I ran a flat course …. Sounds like you guys have quite the terrain to train on in Atlanta – I’d love to run Peachtree one of these days with a good friend of mine Trey – maybe that will happen the next couple of years. Outstanding performance today Joe! I can totally relate to the feeling of having your family at the finish line waiting for you. It always makes of a fantastic finish to a race! Those hill repeats certainly paid off! You crushed it out there! Great report! Oh, and I must ask…where are you doing the Ragnar Relays? Hi Jodi! Thanks for the message and the kudos on Decker! Was a great race for sure. Looks like I’ll be running with the Ragnar Del Sol crazies in Arizona. 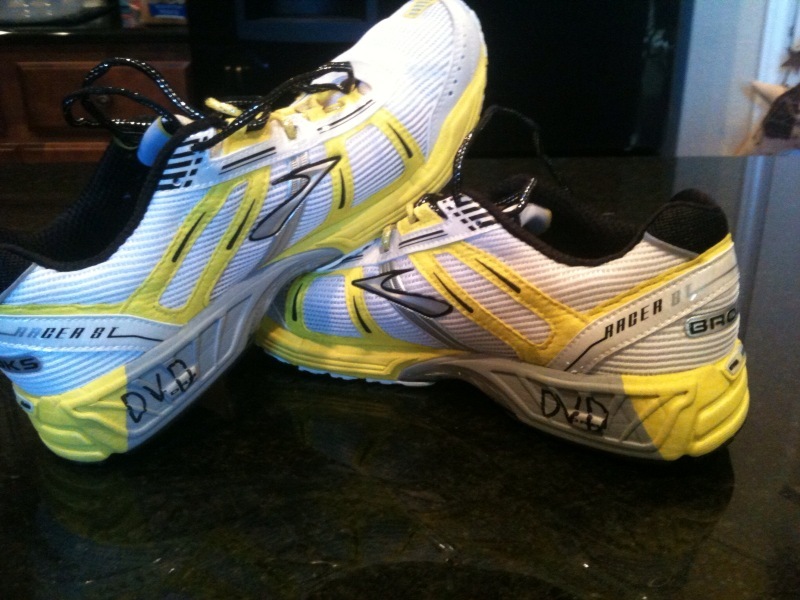 It’s 5 days after the Austin Marathon, so you know me – gotta run a double for Dom …. Thanks David! Hope you are well! Great job! I was thinking about you when I was at about Mile 5 thinking you were probably close to done! Way to go. It was rough! Now on to 3M! Hi Courtney! That was pretty tough sledding out there yesterday! Great job on that monster PR you put up! Way to go! AWESOME RACE JOE! I’m sure a sub 1:30 half means some great things for RFD! Sounds like Dom knew you could smoke this no matter which way the wind was blowing. Hi AJ! Hope you had a great trip out to NYC this weekend and enjoyed some great family time. The sub 1:30 locked up a spot in the 2011 NYC Marathon which is pretty cool. Best to you and R! Congrats on the big time in a tough race. Just so you know, your 1/2 marathon PR is now 7 seconds under mine. I think we’re both going to drop them at 3M, though. Thanks Andy! I have to say that knowing I’m holding “our” PR for the next month or so makes me smile. I have a feeling we will both be blasting past 1:26:00 at 3M with no trouble at all. Peronally, I’m thinking you are going to put up an absolutely monster PR on January 30th. Enjoy the holidays the family Andy! I am a little bit behind Joe and just read this today. Joe! I don’t have to remind you how much time you have knocked off your PR. That is awesome. So happy for you. I am reminded of what I used to hear Mohammed Ali say. He once said on fight day you can see who has trained the hardest. Let me just say I can see the evidence of your hard work. Good job Brother! Trey – thanks so much for the message. I thought of you when I was going through the results and seeing just how far this year of 2010 has taken me. I think that 2011 is going to be that year for you Trey and that Boston time is going to be achieved. You are absolutely ready to make a run at that time – I can’t wait to read all about it. Best to you sir and congrats on that 50K! Simply amazing.